I own this... And it makes me smile every time it gets an airing! Probably draws the most comments too! Another new arrival this morning! 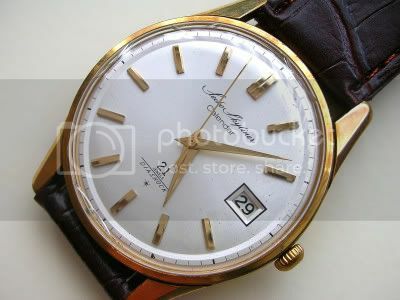 This is a pretty rare 7f24 movement day/date with independent 24 hour/GMT dial. 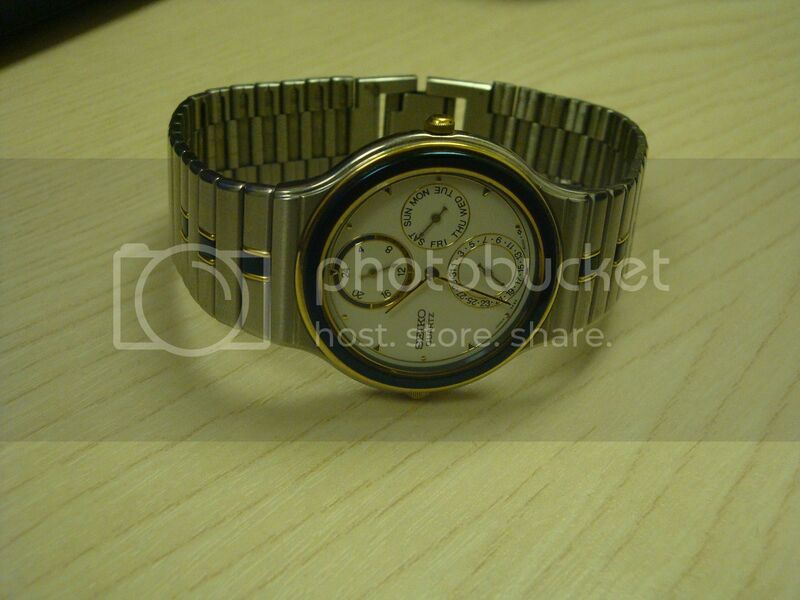 Small at just a 34mm diameter, but unusual enough that it might get some wrist wear. She's not feeling well at the moment, unfortunately, but she's still magical. And these two NOS examples of Giugiaro "Bishop" models, old and new one. 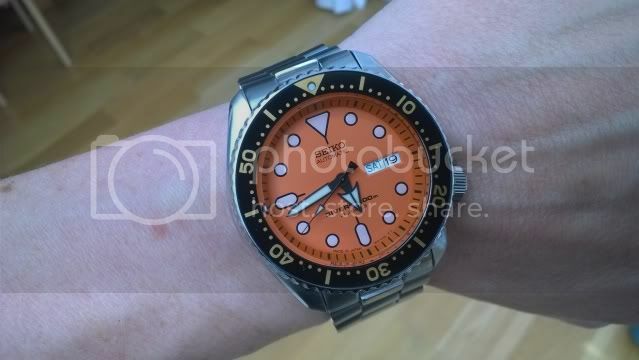 Latest arrival, and surprisingly my only present Seiko! 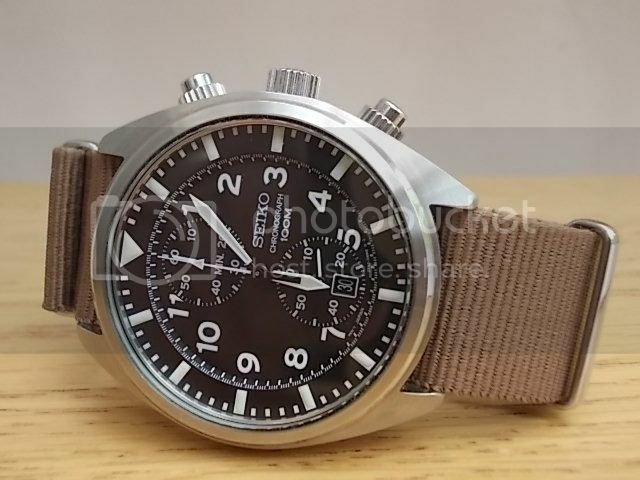 what model is this please? 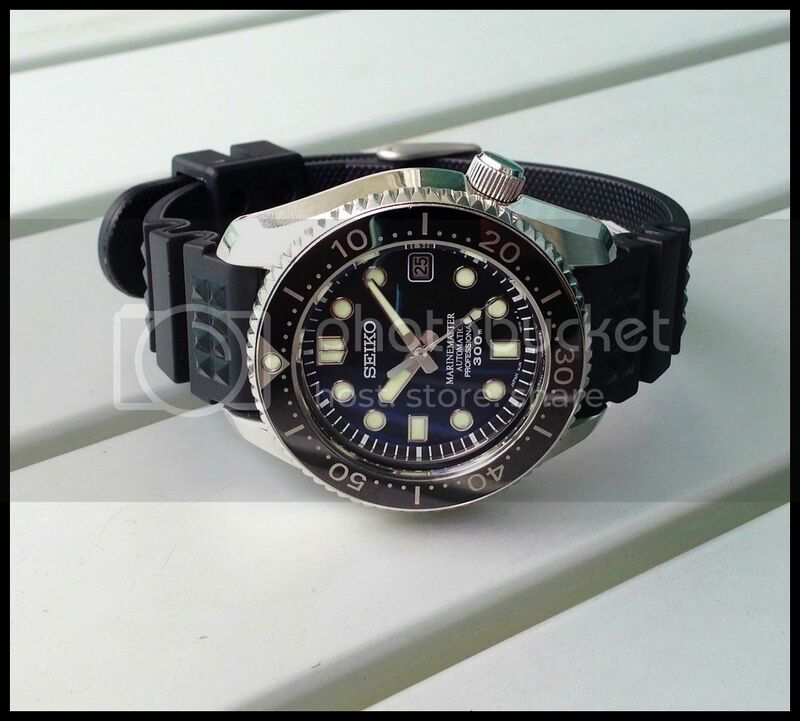 I am ashamed to say that I have never really given Seiko watches much 'time', my Dad gave me two dive watches from I guess the early eighties and I use these exclusively for DIY and gardening. 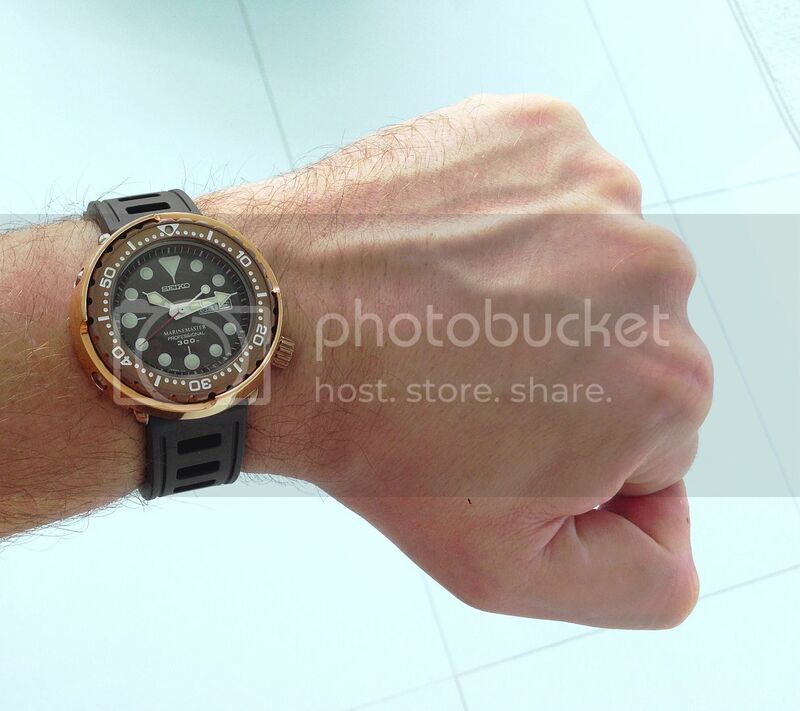 This thread has many fine examples and it is obvious that the vfm is exceptional, I rather like the 55 fathom watch as I discovered the Blancpain price is way out of my league! 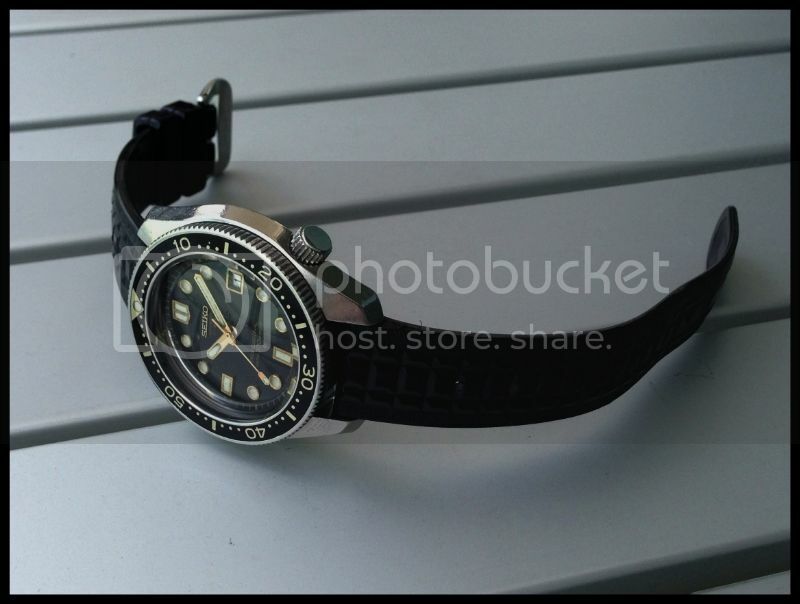 The other watch is another 7S26, -0020-660075. 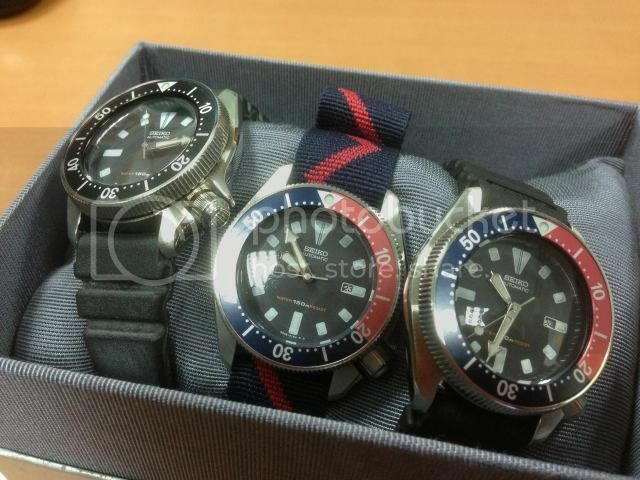 The departed include a Sawtooth, SKX009, 7002, Flightmaster, a pretty little '5' of some description and no fewer than three first generation Monsters (one black, one orange and a beautiful yellow Mk II conversion). 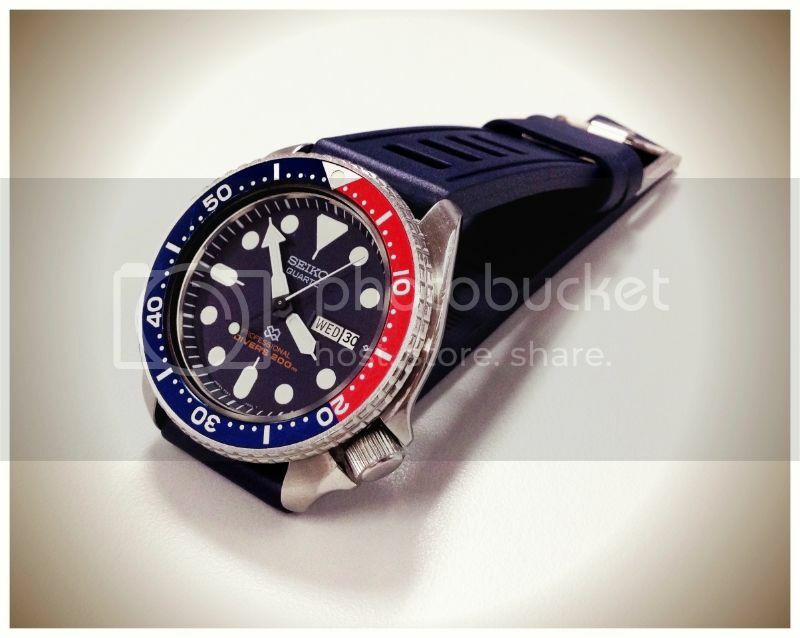 Get on eBay and buy something for far too little money! Here are my two. 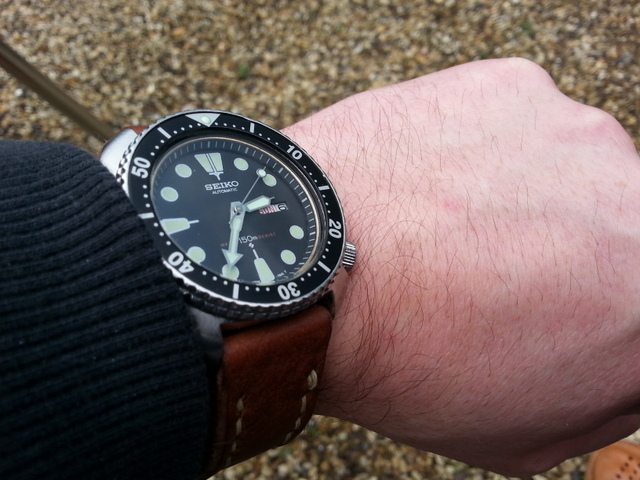 7002 and an SNN231P2. 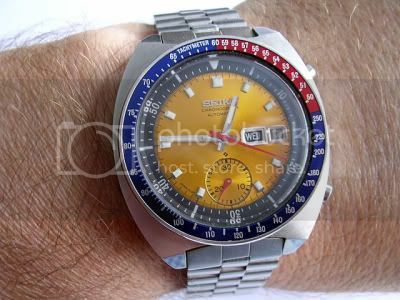 It is the Seiko 5 Sports SRP488. 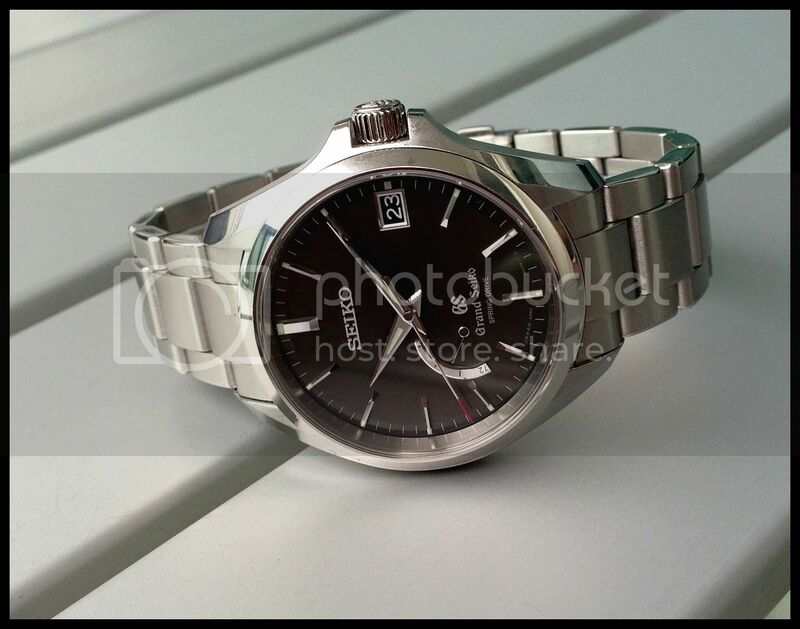 It has the superior 4R36 movement in it. 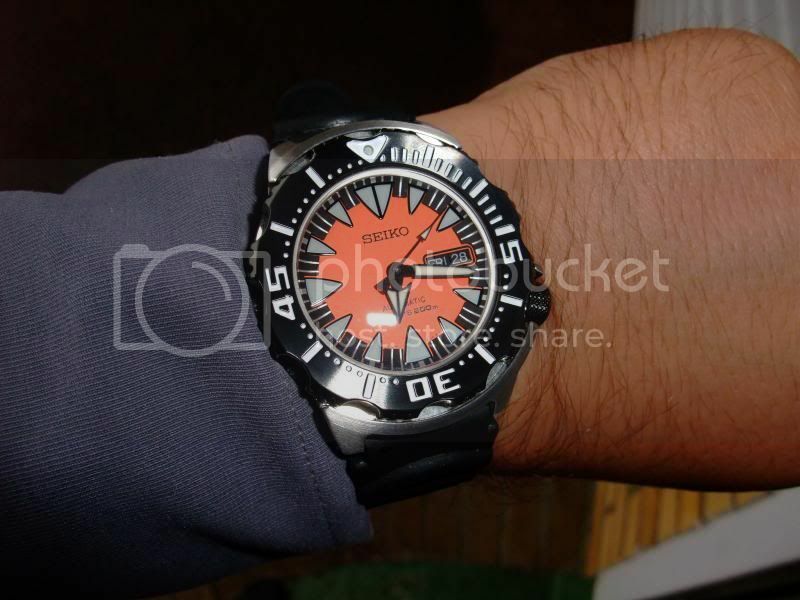 Known as the Mini Monster - I prefer it to the numerous Monsters that I have owned (old and new versions). 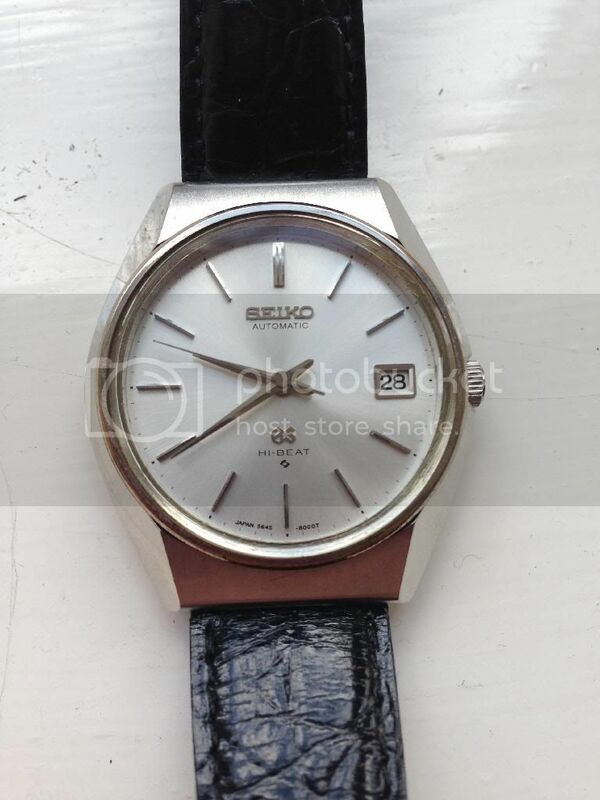 Not much Seiko left in this one! 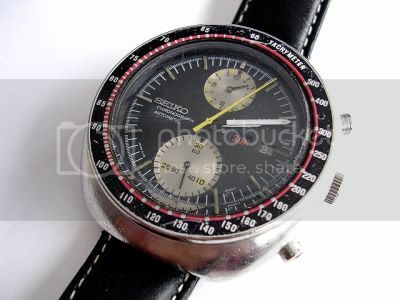 When you consider that when the Seiko guys showed up in the watch chronometer trials in the 60's they were regularly beating all comers in the prizes and only Zenith and Longines were holding the side up(IIRC Patek, Rolex and a few others got their bottoms handed to them on a plate). In the end the local Swiss got so peed off with them winning they changed the rules to exclude them. That's a prize in of itself. 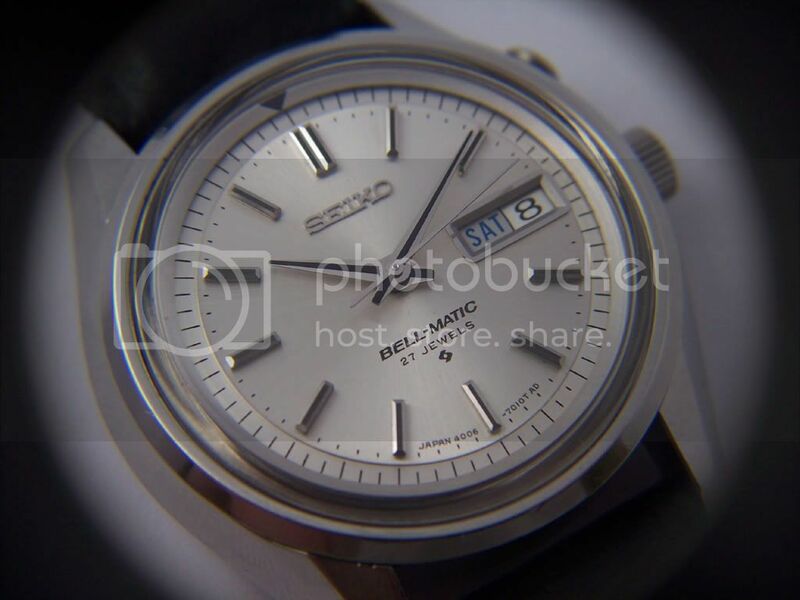 While the Swiss were getting together to build the first automatic chrono, Seiko built theirs(6139) a column wheel, vertical clutch, auto that was smaller than the Swiss ones and got to the actual market ahead of them by a couple of months. 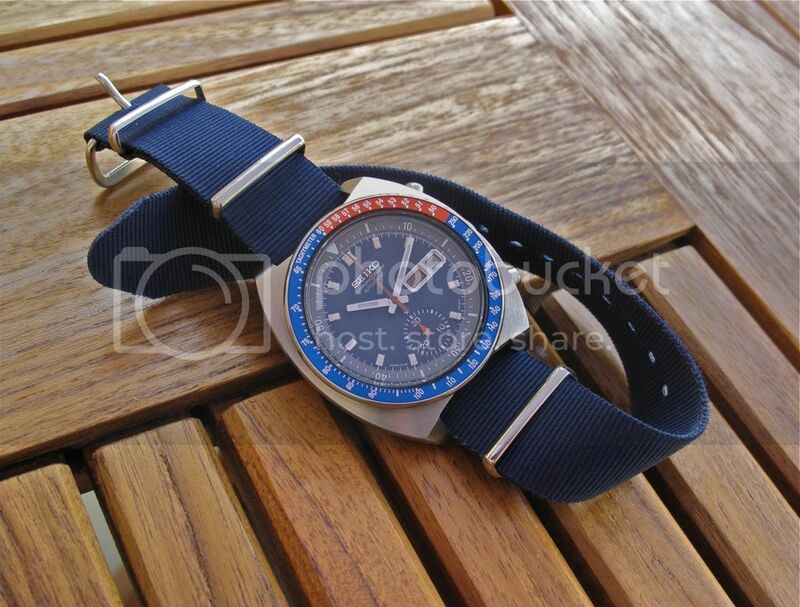 The fact you can get a vintage one today for a few hundred quid, while the Swiss versions go for multiples of that is amazing to me. 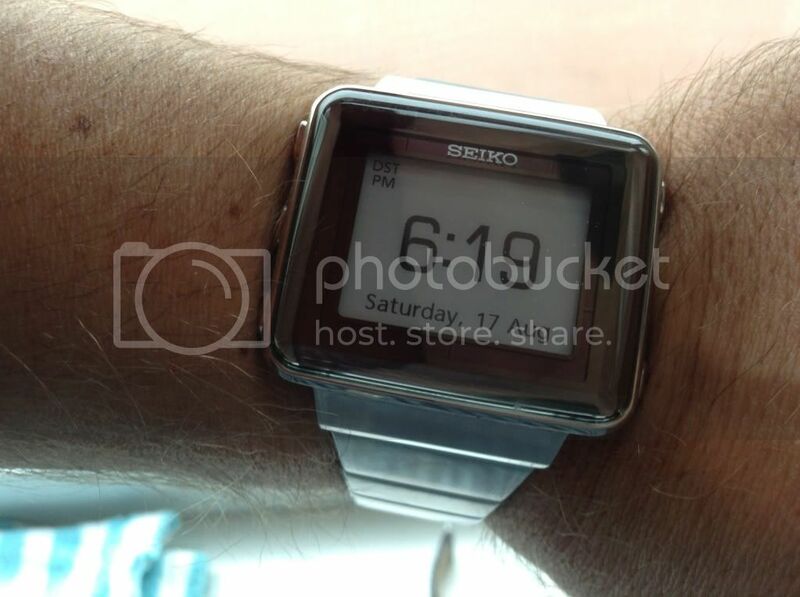 I'm a big Seiko fan but your precis contains a lot of internet lore. 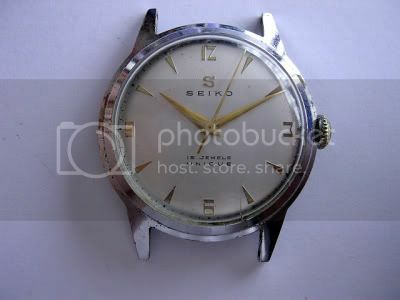 Seiko mainly entered quartz watches into the competitions, their earlier mech watches did very badly in the mid sixties and finished in the high hundreds IIRC. 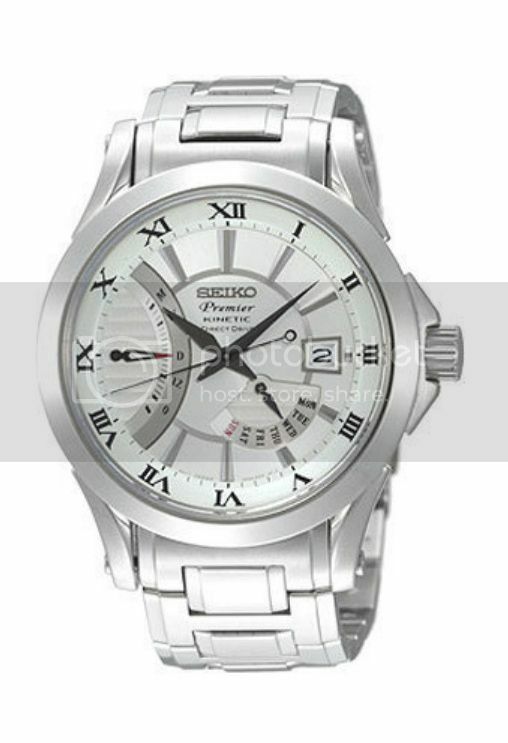 Seiko determined to do better and did in fact improve their placings as the years went on but say they thrashed the opposition is rather far fetched. 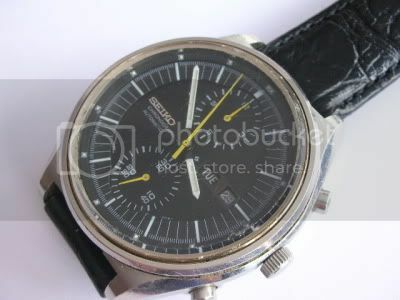 The reason the observatory competitions were stopped was not because Seiko won but because mechanical watches were seen as passe and everybody was getting into quartz. 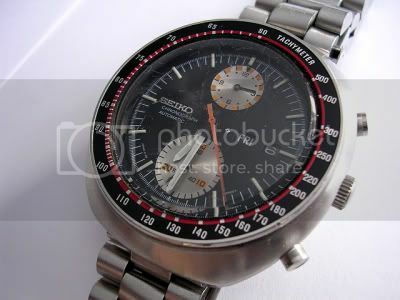 As regards the first auto chronograph, three firms completed them at about the same time. 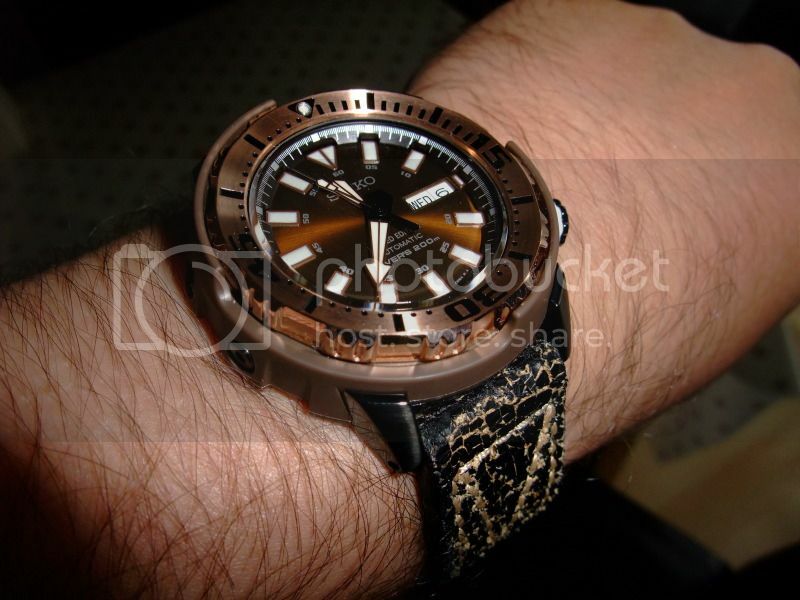 The Breitling-Buren-Heuer combo was just a DD module on a Buren micro rotor. 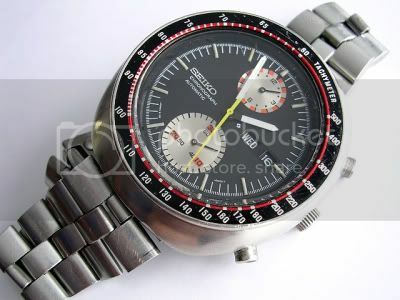 The Zenith El Primero was a fully integrated three sub dial auto, the Seiko 6139 was a single dial without sub seconds (unless you count the centre chrono second) so was somewhat lacking but Seiko pushed it forward to try and get the first auto chrono mantle. 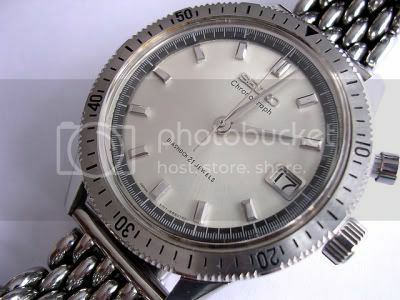 Going by the nomenclature, the two dial 6138 should have been released first but wasn't ready in time so the 6139 was put out. 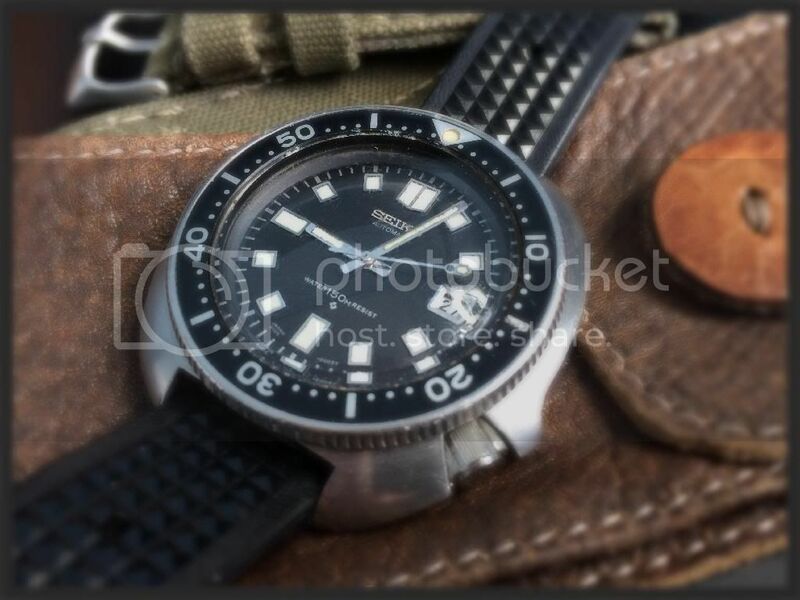 As I said, I am a Seiko fan but over the years a lot of misinformation has been spread about historical facts including in Seiko's own, "Journey through time", something I have posted about in the past. Only have two at the moment. 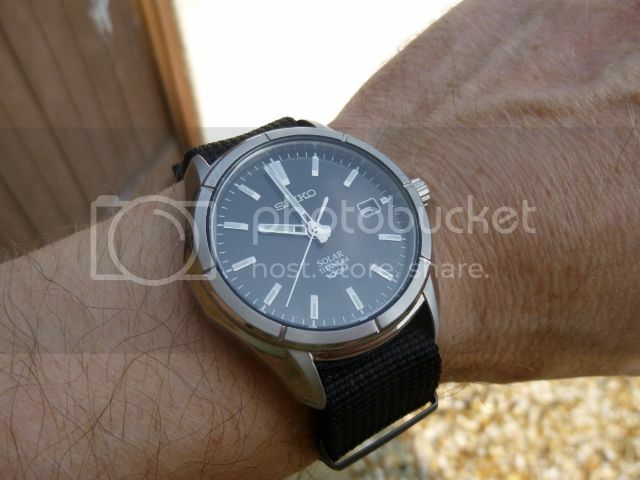 I never liked the hands on the 009 (shape), the 011 even less (shape and colour), however with the white/black combo going on I am well pleased, and the bracelet is great as well, heavy enough to balence the head, but still with the essential 'rattle-y-ness' that a Seiko needs! 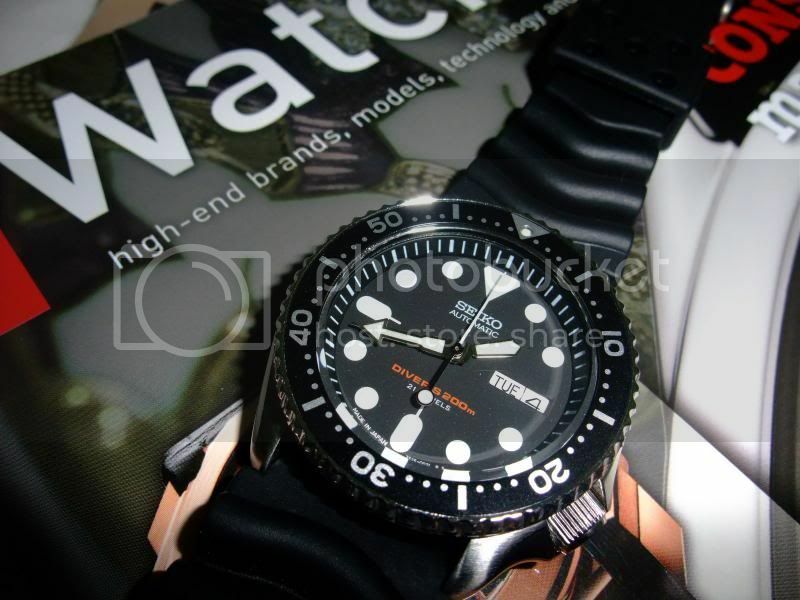 Seiko Marine Master 600M GMT SBDB001, nearly sold it - so glad I didn't, it's become my daily wearer. Plus another 7C43 currently at service. 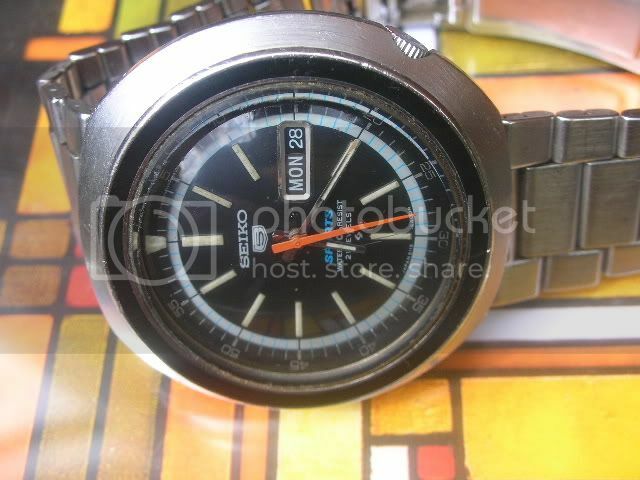 Here's my old Seiko that I've had since I was 14 or so. 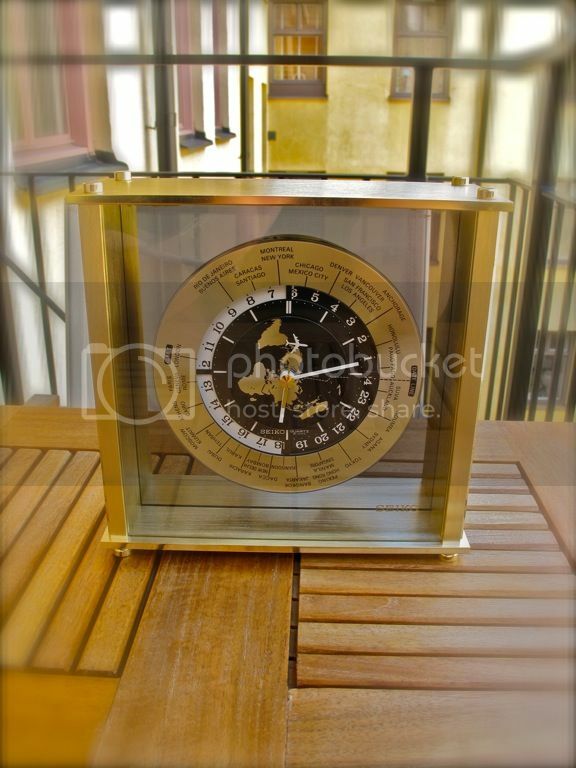 I still don't know how the alarm works, but it can be used as a second timezone I think. I had a lorus for my 16th birthday. 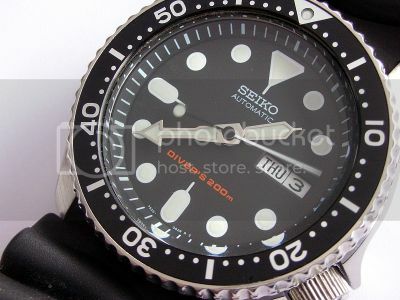 I think that's a seiko in disguise? 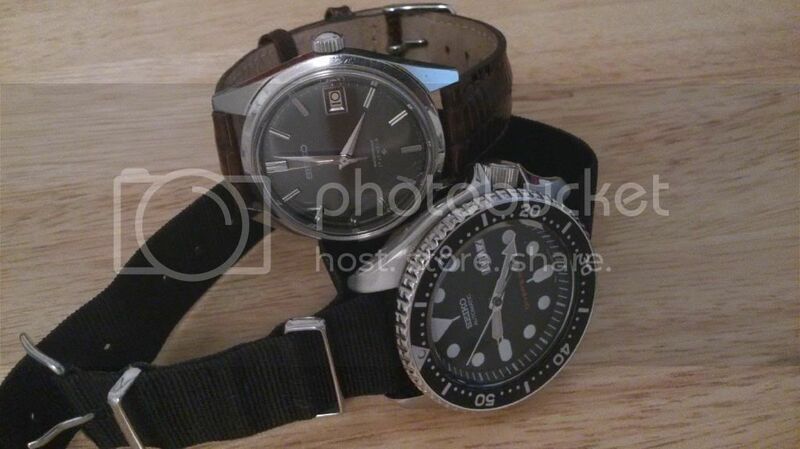 Currently these two, plus a pepsi BFK and an old full lume kinetic. 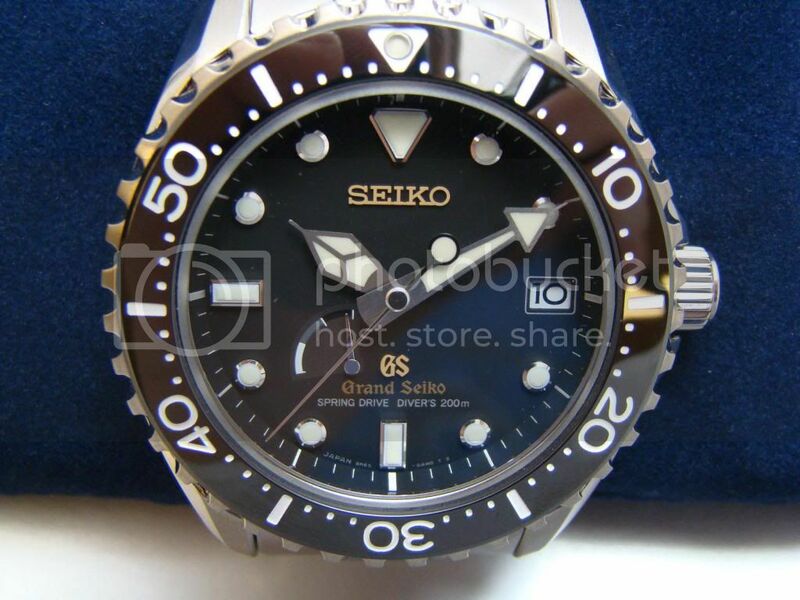 I'm a hopeless Seiko fan. *when someone uses the word 'precis' correctly, you just know you've been owned and it's best to leave the field at that point. Last edited by Wibbs; 19th April 2014 at 23:42. 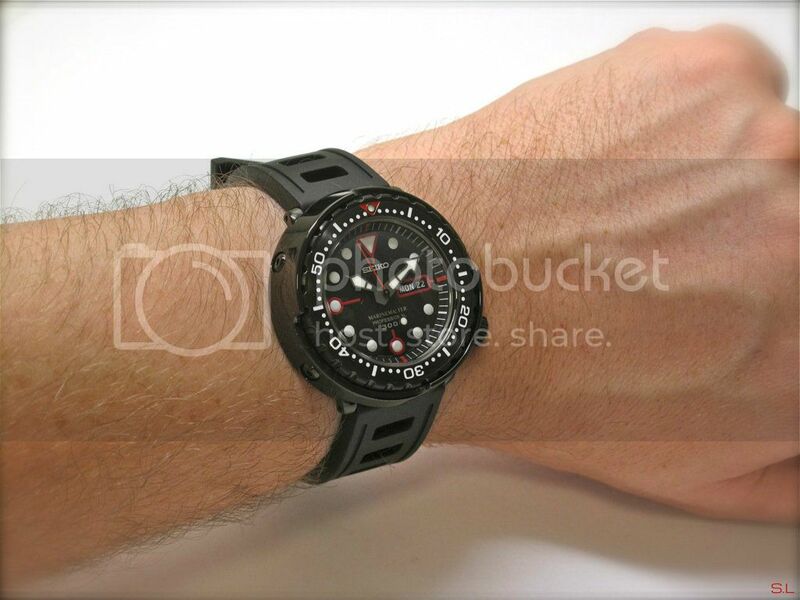 Get on eBay and buy one! Or ten!!! 2nd and 4th on the bottom row. 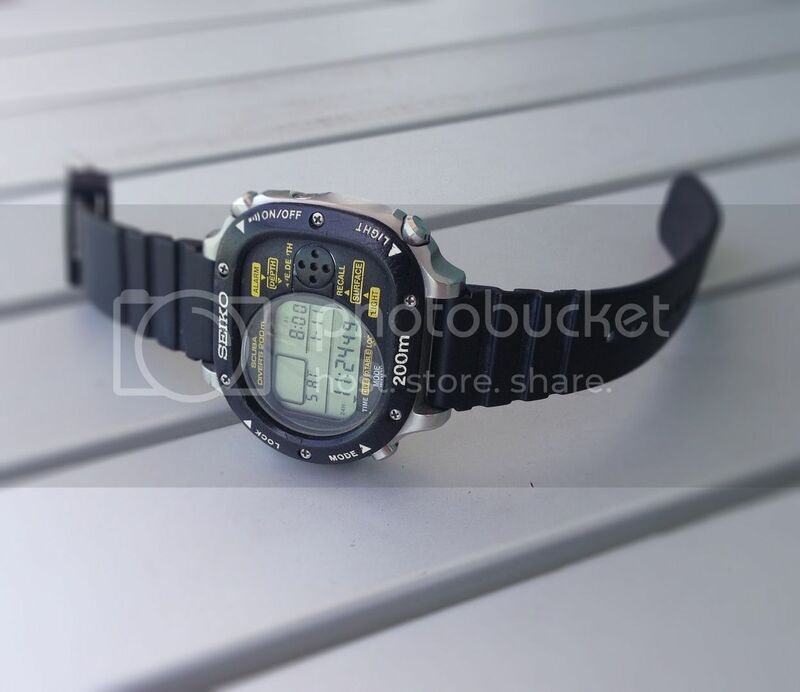 I also have this solar diver, but it doesn't hold a charge too well, so it's just gathering dust. 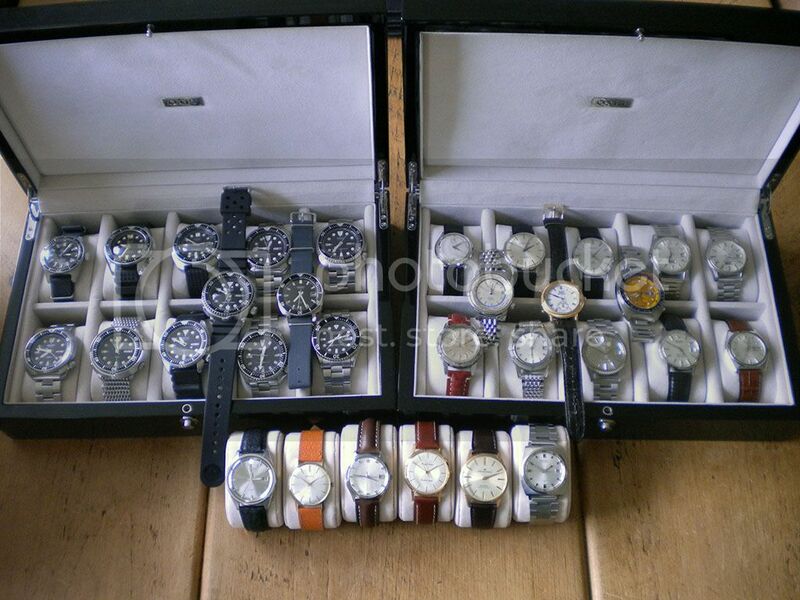 So many Beauties,its like being in a sweet shop! 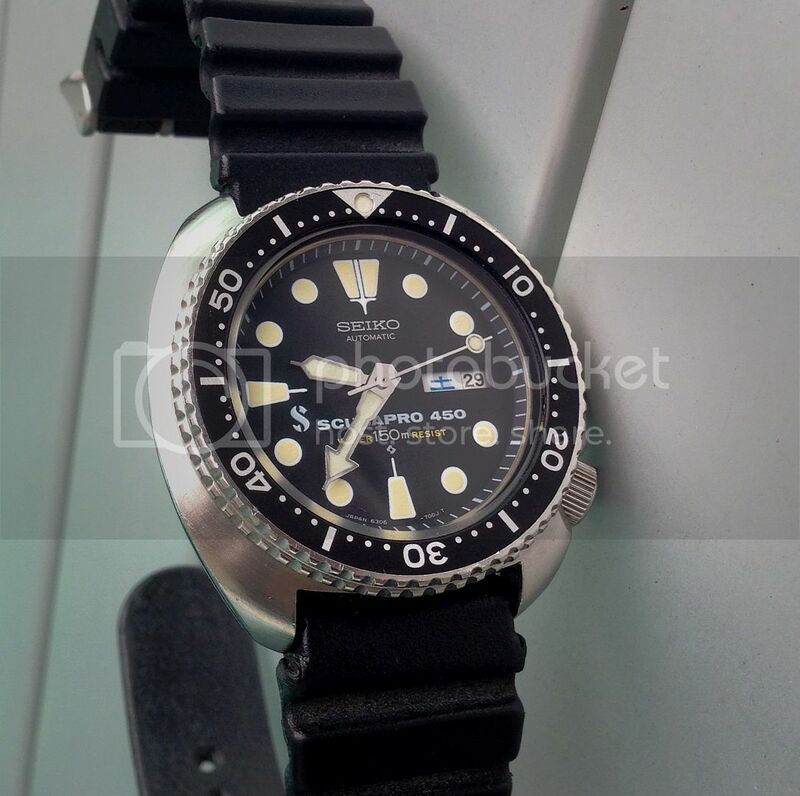 My first Seiko when i was about 11,was from memory a Pepsi coloured diver,don't know the model but will never forget it. 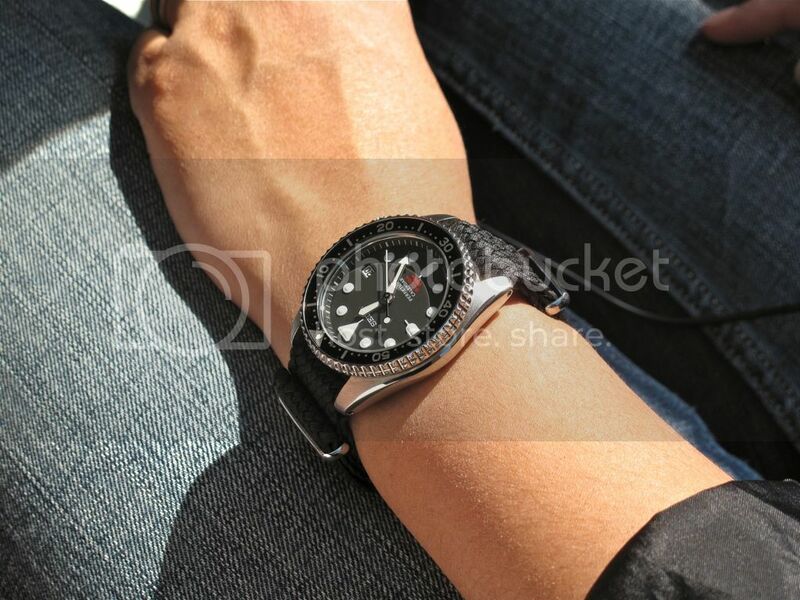 I only have one at the moment an skx007j. 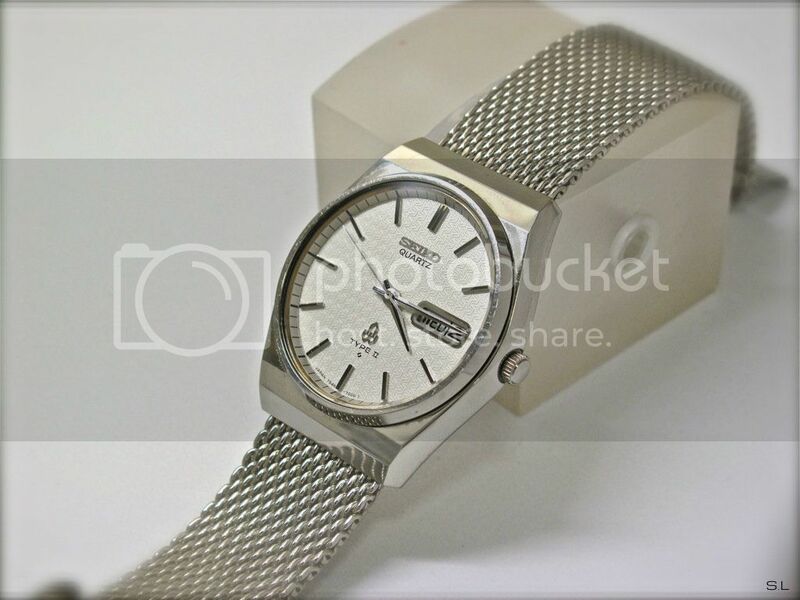 My first seiko was bought from Jacobs Market in cardiff. It was one of these. 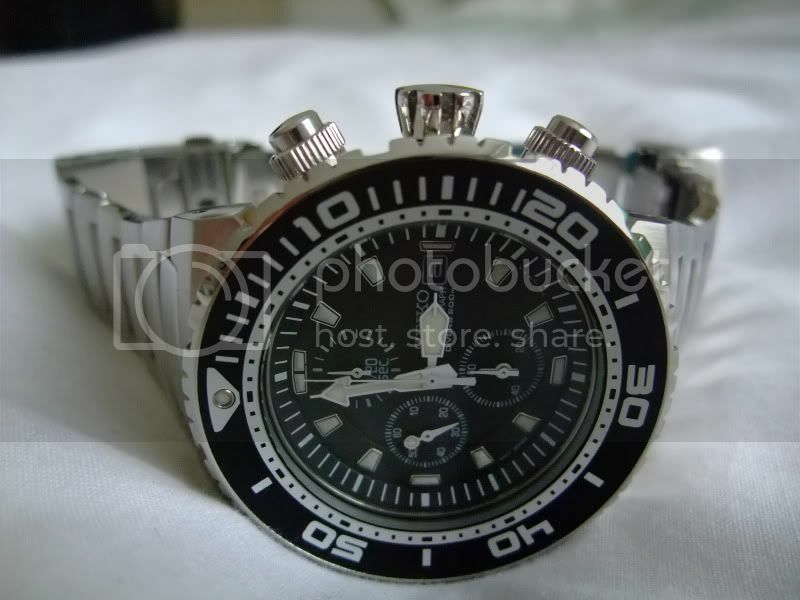 Slightly damaged, I think the crown was dented. My dad really didn't want me to but it, but I had to have it. 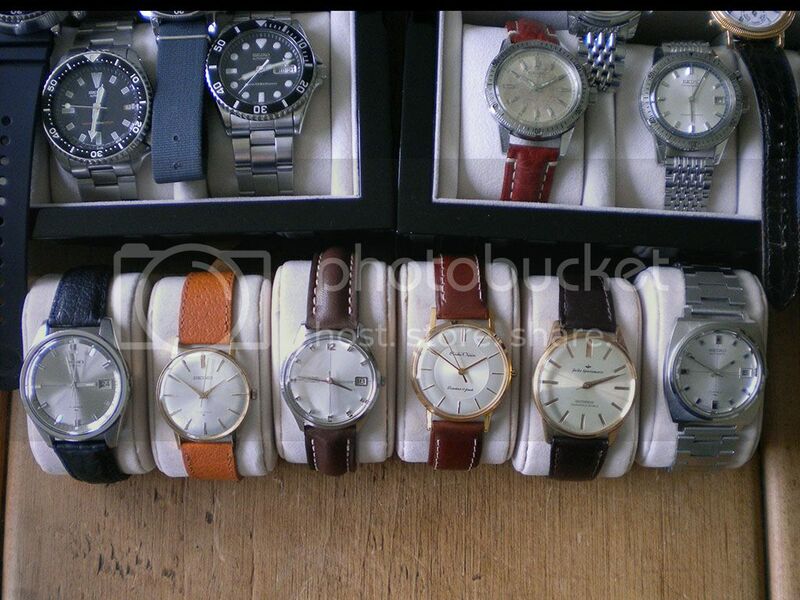 I was 13 and had £30 to spend. 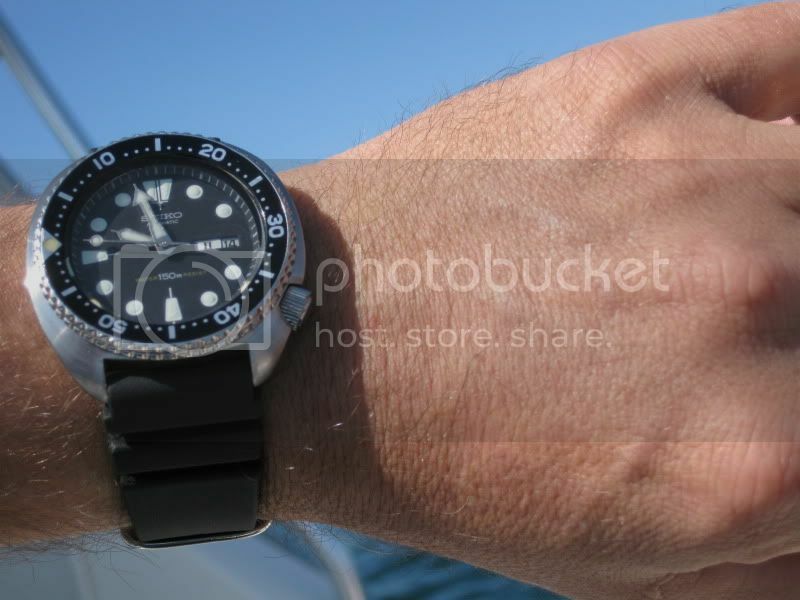 It lasted a good 5 years on the wrist. Still goes now. 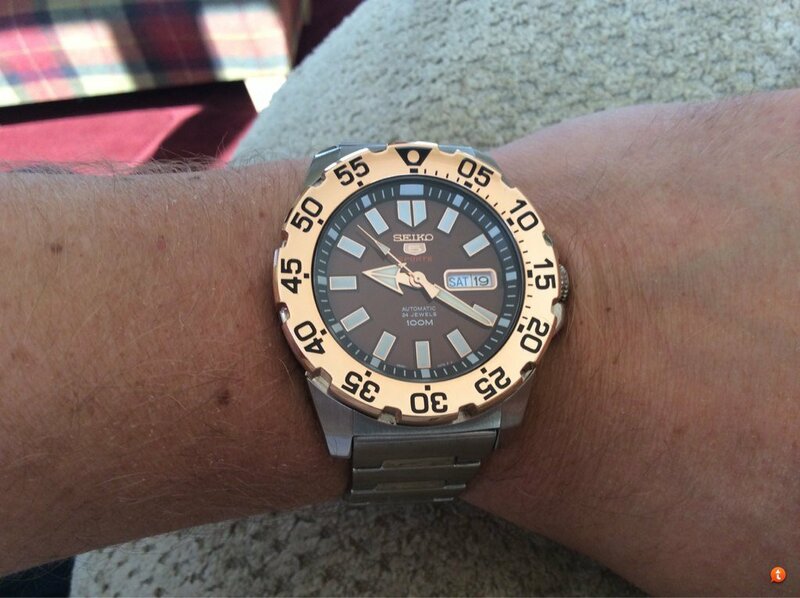 Never serviced, never oiled. Never missed a beat! 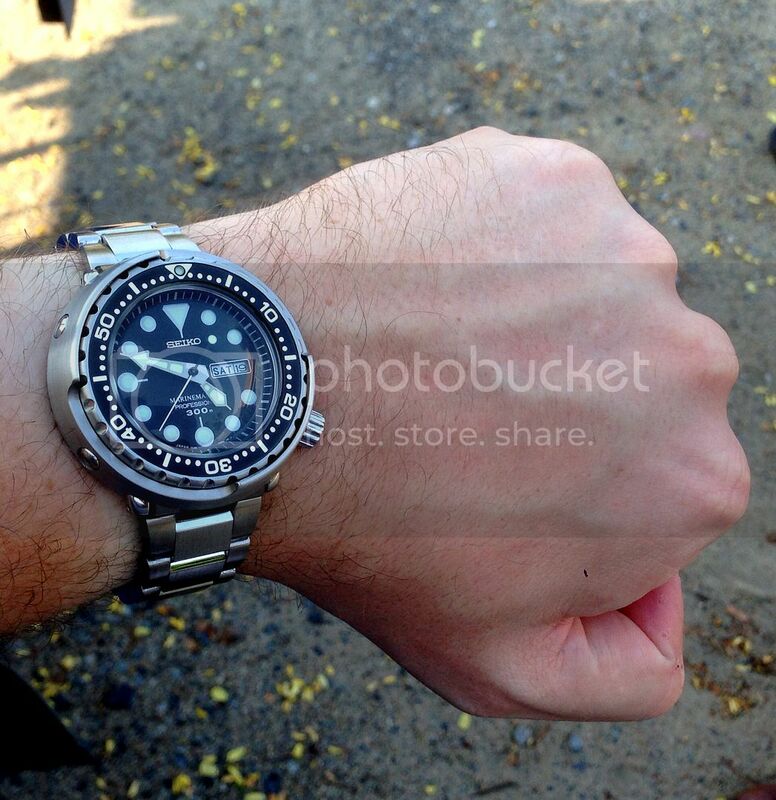 After my initial posting on here like an idiot I didn't include any Seiko's. 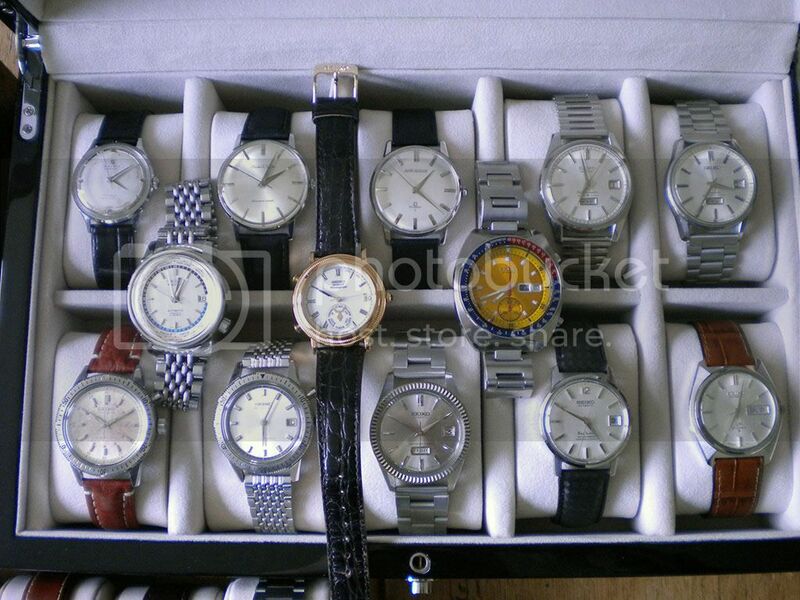 I love those Type II quartzes. They seem to have a quality about them others did not have. 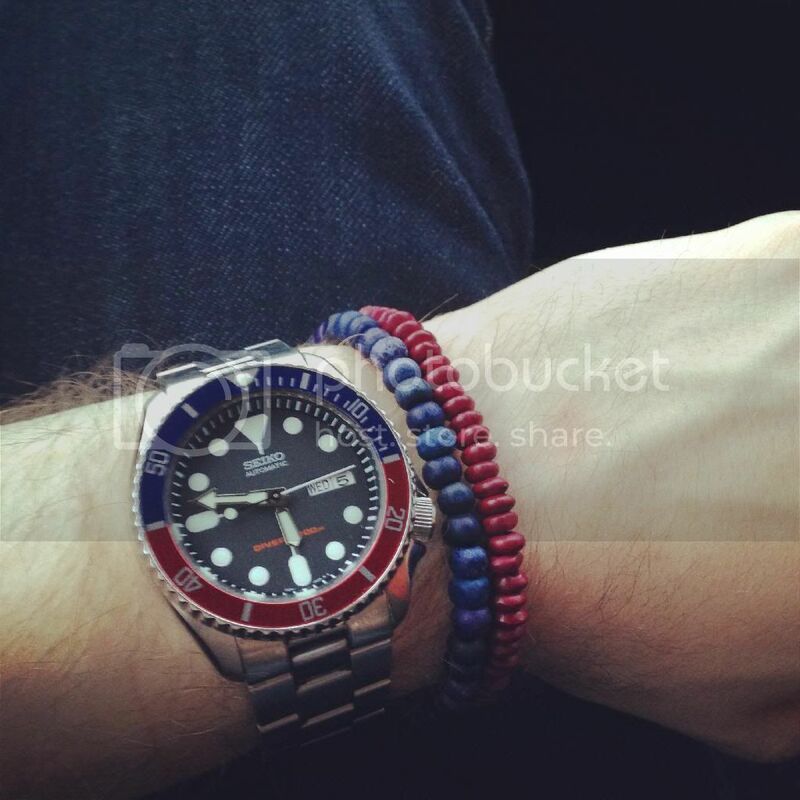 Last edited by markrlondon; 20th April 2014 at 11:53. 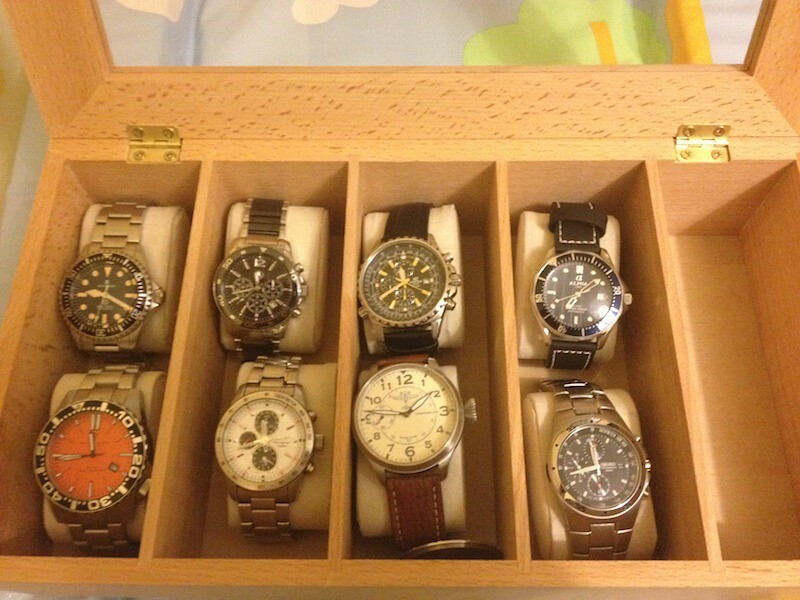 Some of mine and I do wear a few regularly. 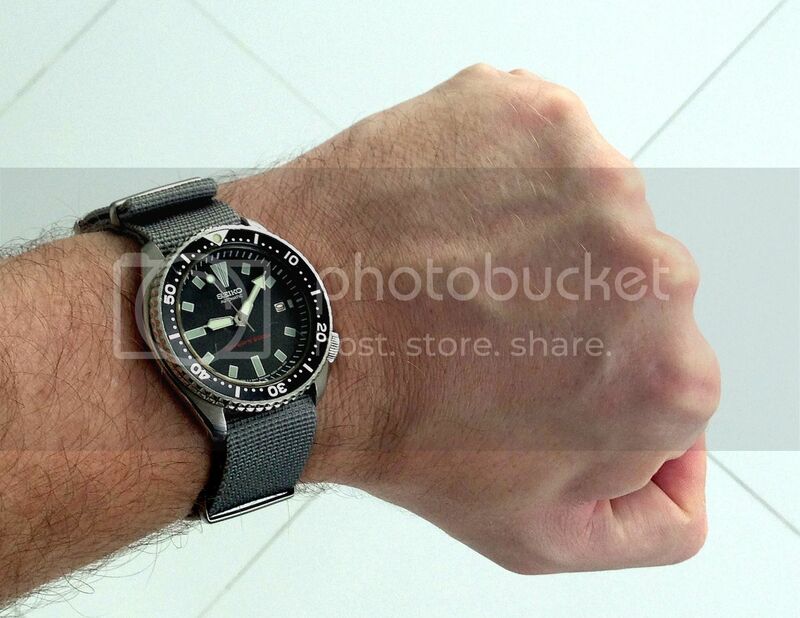 Yeah mate, it is the Seiko Nooka. 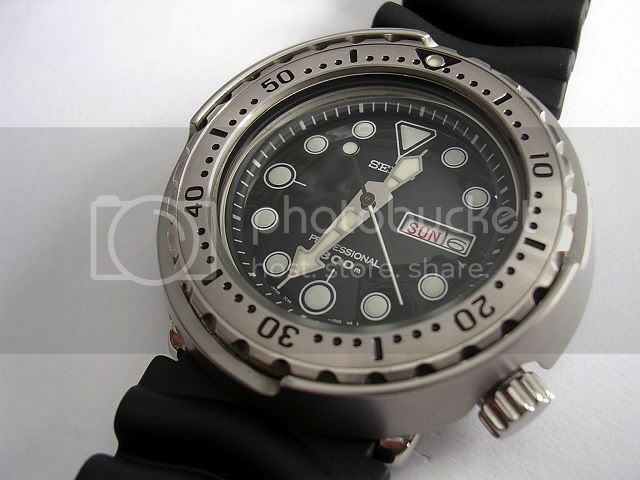 Quite a decent size too... and comes with a couple of different colours of glass... white and black. The piece was in collaboration / commissioned by Matthew Waldman in 1999. 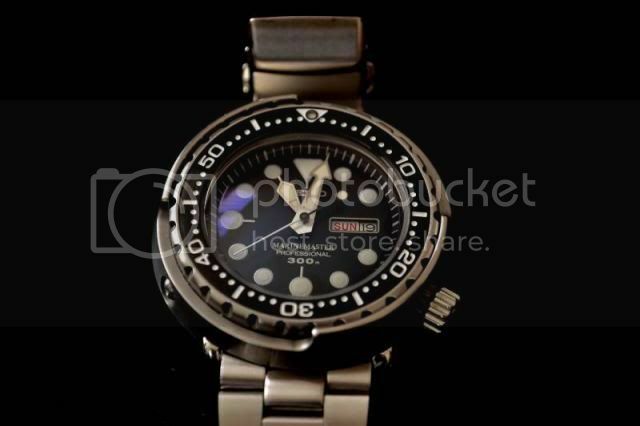 They ended their partnership, and Waldman still produces / sells watches under the Nooka name. I don't really understand the new digital thing they are doing with the SDGA. New tech = new USP = pretty pictures. 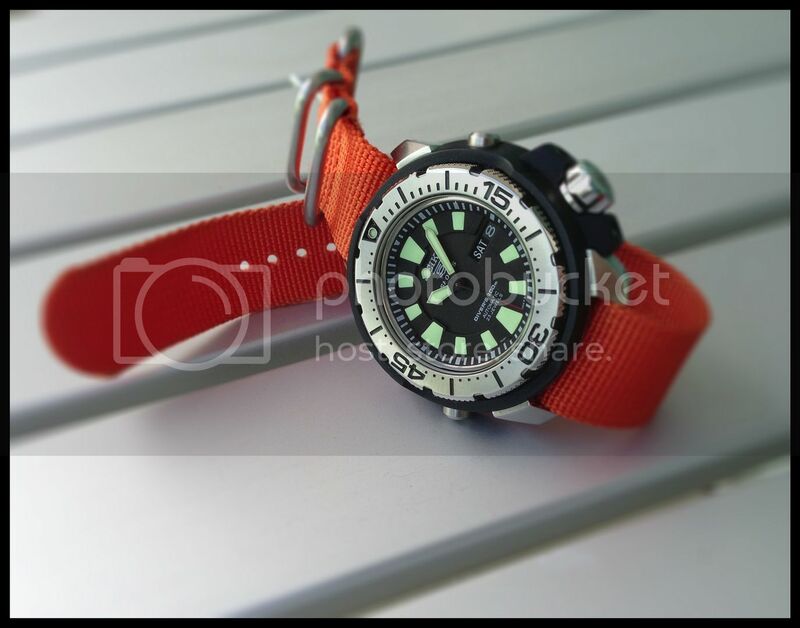 Last edited by markrlondon; 21st April 2014 at 03:07. 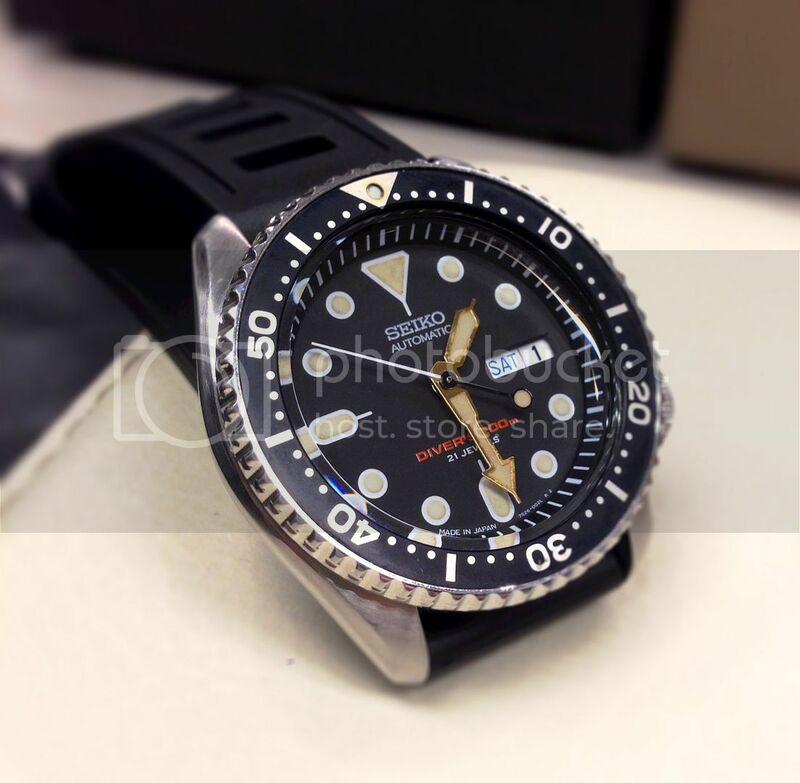 My last black bezel 4205 and two unworn Pepsi 4205s. 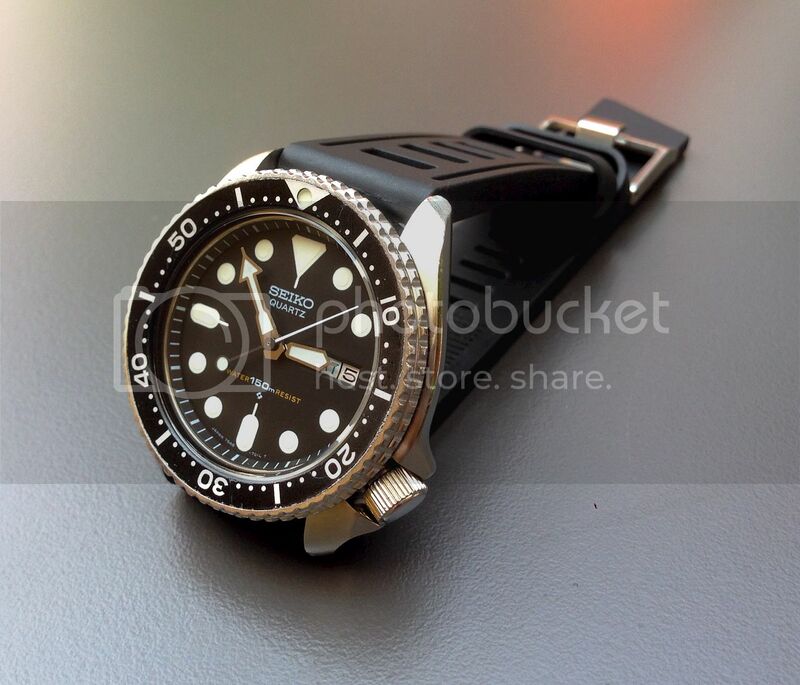 I just love these tiny divers. 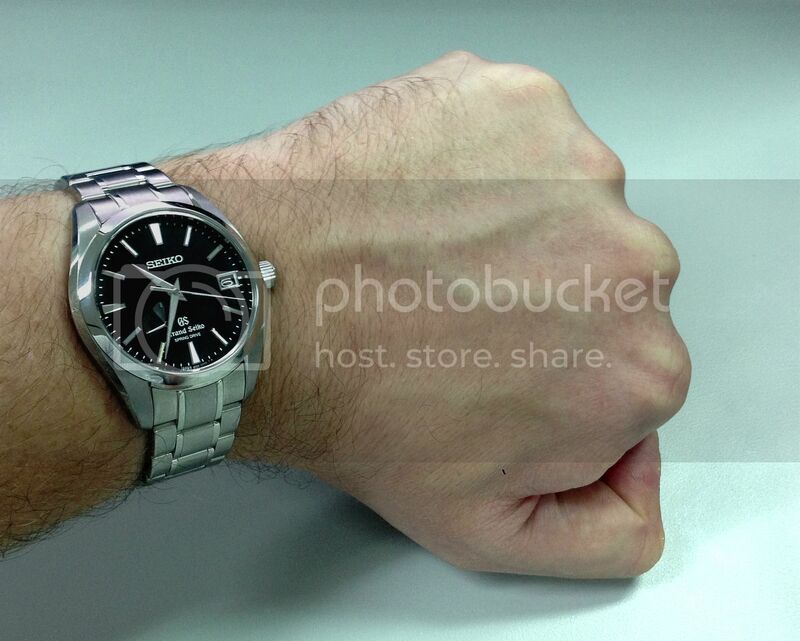 Last edited by TopCat; 21st April 2014 at 01:38. 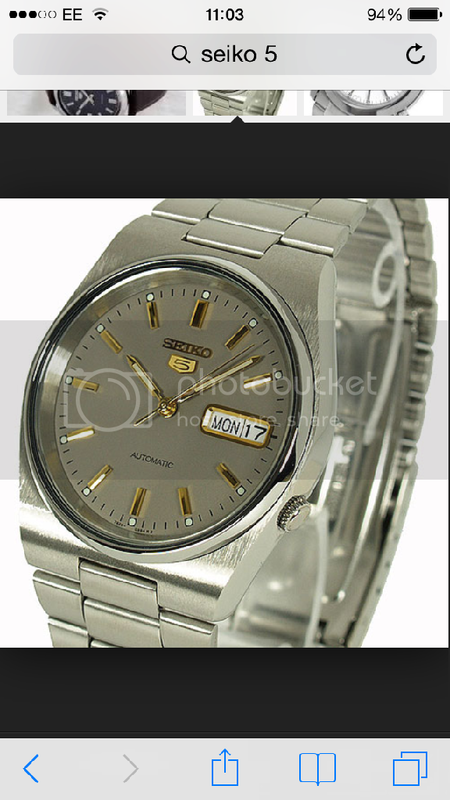 My actual Seiko, but, actually, Cannop's photograph. In very clean condition. 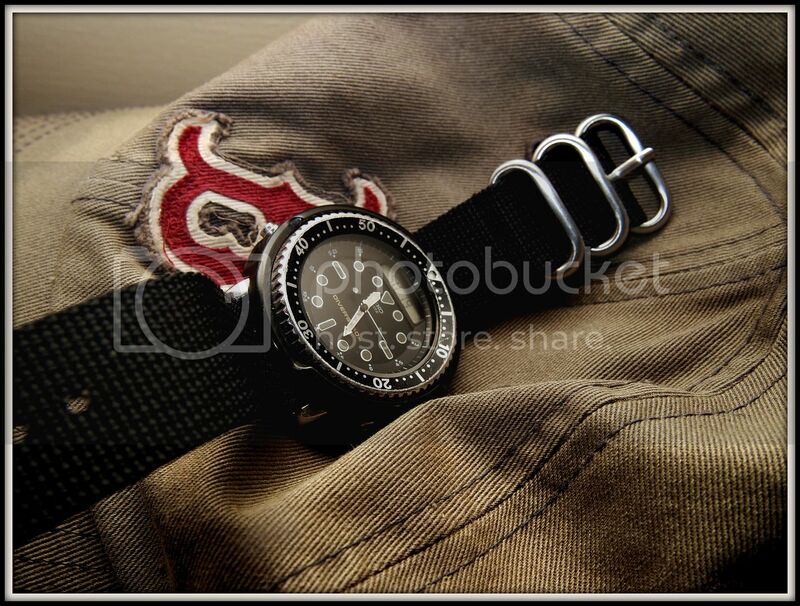 The chapter ring is in especially good condition; these so often seem to fade or get worn. Unusual model... which reference is it? 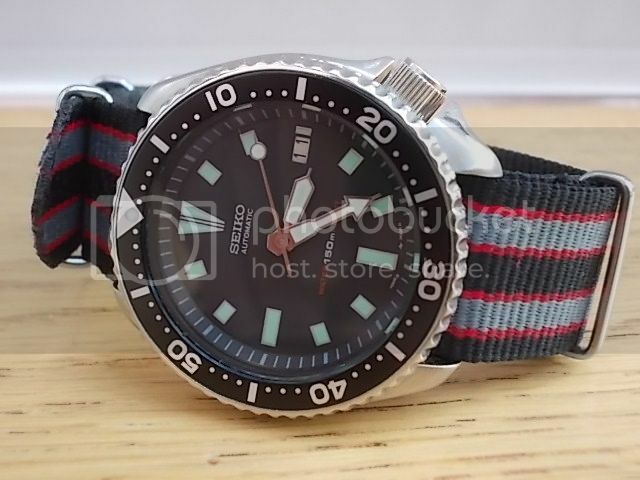 Calling on all Seiko Experts! 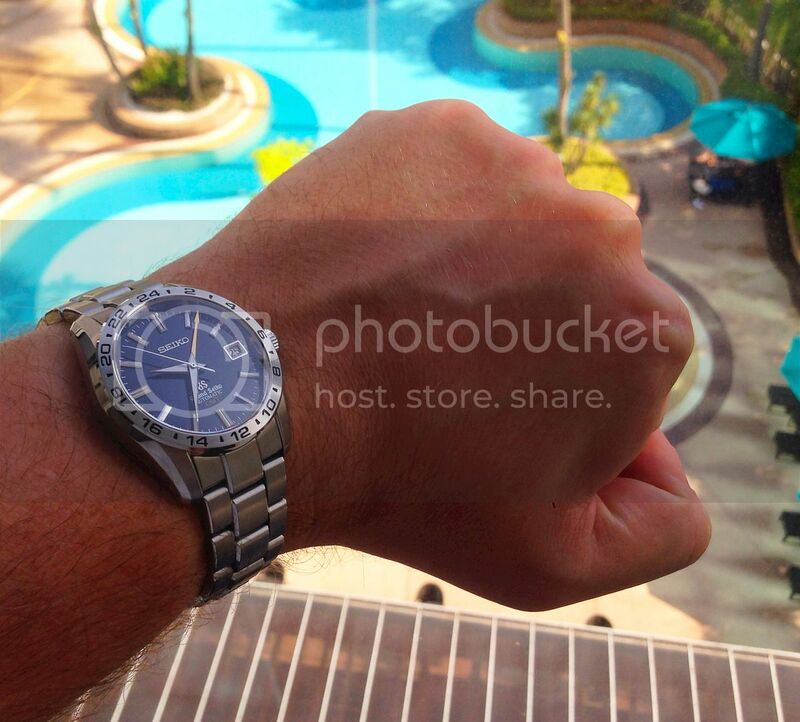 Last edited by barryw; 21st April 2014 at 09:40. 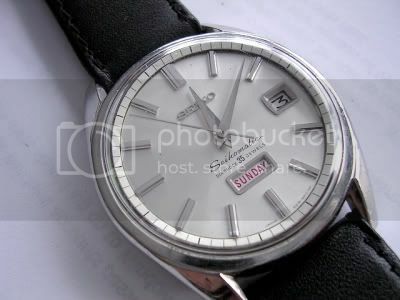 It's a 5717-8990, released for the Olympic games in Tokyo 1964 as Seiko were the official timers. 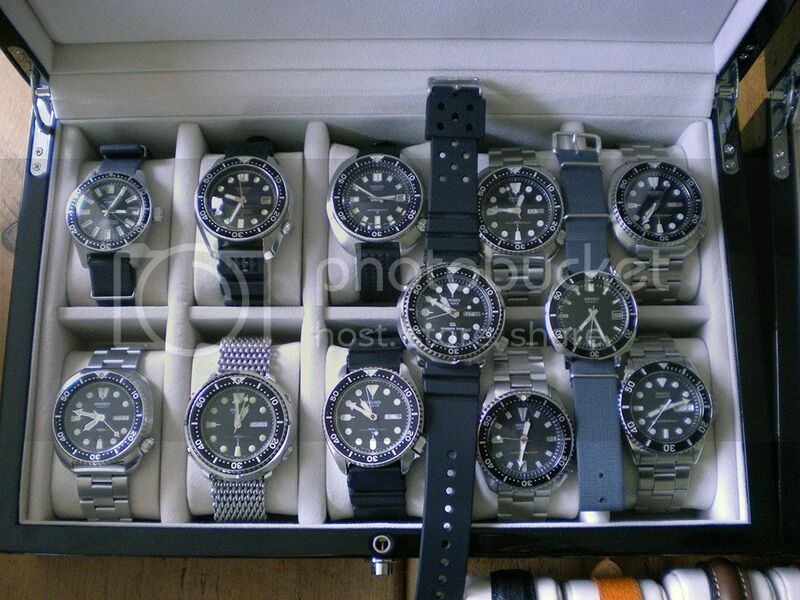 Can you tell us a bit more about the one on the grey NATO? 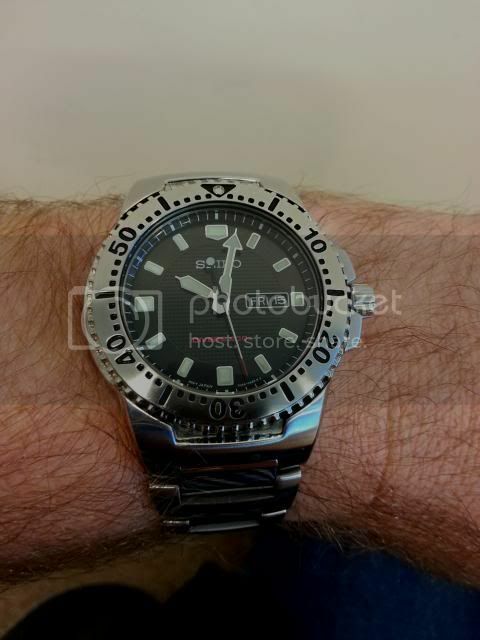 It bears more than a passing resemblance to one that was apparently issued by the Iranians (link from MWR). 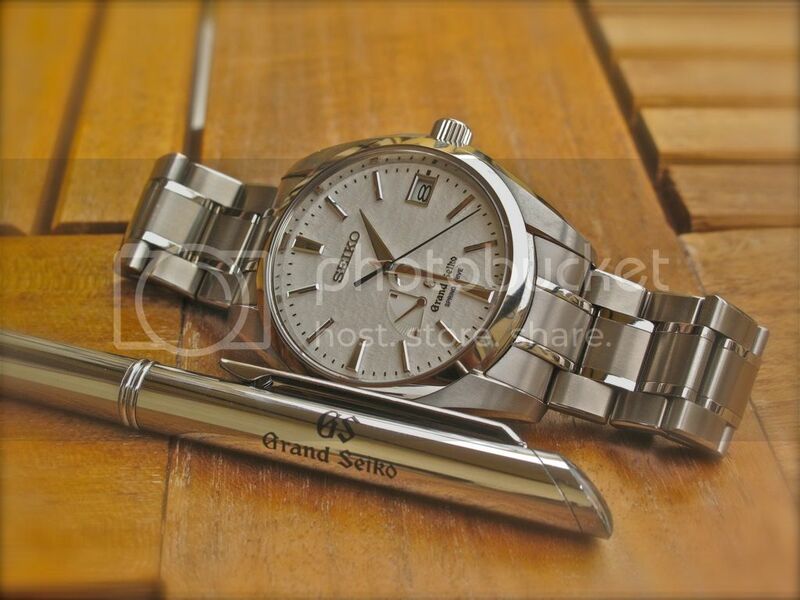 Here's my only Seiko at the moment, one given out to the Omani armed forces to celebrate the 10th anniversary of the accession of the Sultan so falling also into the category of Middle Eastern oddities. 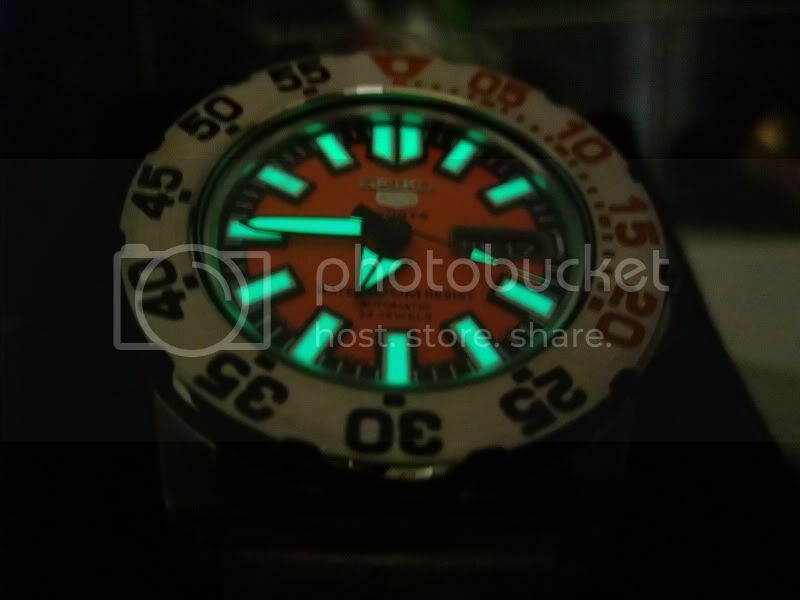 It reminds me that I need to take some better photos.